After presenting the Mandragola, the YoungKIT presents the Decameron and in particular the three novels that Machiavelli moved from to write the Madragola. The Decameron, subtitled Prencipe Galeotto, is a collection of novellas by the 14th-century Italian author Giovanni Boccaccio (1313–1375). The book is structured as a frame story containing 100 tales told by a group of seven young women and three young men sheltering in a secluded villa just outside Florence to escape the Black Death, which was afflicting the city. Boccaccio probably conceived the Decameron after the epidemic of 1348, and completed it by 1353. Here Beginneth the Third Day of the Decameron wherein Under the Governance of Neifile Is Discoursed of Such as Have by Dint of Diligence Acquired Some Much Desired Thing or Recovered Some Lost Good. Ricciardo Minutolo, being enamoured of the wife of Filippello Sighinolfi and knowing her jealousy of her husband, contriveth, by representing that Filippello was on the ensuing day to be with his own wife in a bagnio, to bring her to the latter place, where, thinking to be with her husband, she findeth that she hath abidden with Ricciardo. Here Beginneth the Seventh Day of the Decameron Wherein Under the Governance of Dioneo Is Discoursed of the Tricks Which or for Love or for Their Own Preservation Women Have Heretofore Played Their Husbands With or Without the Latter's Cognizance Thereof. Lodovico discovereth to Madam Beatrice the love he beareth her, whereupon she sendeth Egano her husband into the garden, in her own favour, and lieth meanwhile with Lodovico, who, presently arising, goeth and cudgelleth Egano in the garden. Here Beginneth the Eighth Day of the Decameron Wherein Under the Governance of Lauretta Is Discoursed of the Tricks That All Day Long Women Play Men or Men Women or Men One Another. Master Simone the physician, having been induced by Bruno and Buffalmacco to repair to a certain place by night, there to be made a member of a company that goeth a-roving, is cast by Buffalmacco into a trench full of ordure and there left. 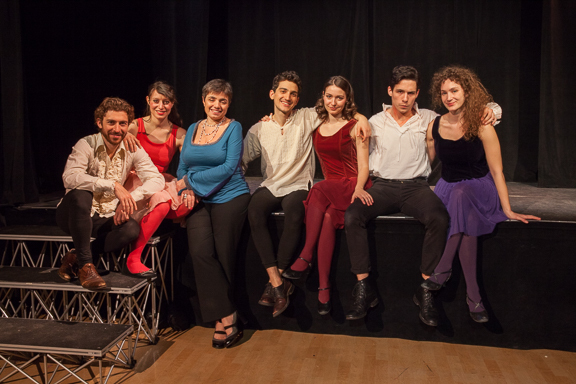 With the YoungKIT, the youth division of KIT, the Italian Theatre Company in NY. 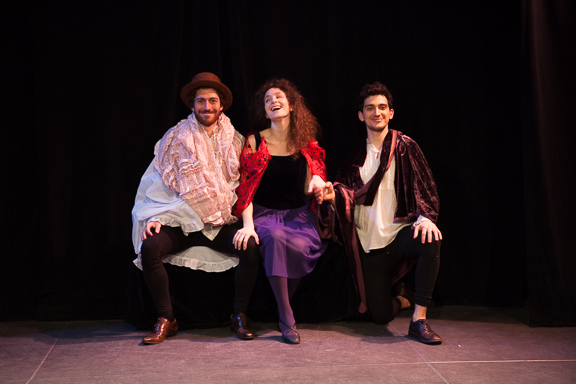 Comprised of young talent in their 20s, all of Italian origins, the aim of the YoungKIT is to create a generation of actors trained according to the best tradition of Italian theater and familiar with both classical and contemporary Italian plays. The group is going to change every three years, as after three years of performing in the YoungKIT, each company of actors ‘graduates’ to possible KIT Members. Every three years, auditions will be held for actors in their 20s to join the YoungKIT. During the three-year engagement, the YoungKIT will perform a series of Italian Classics and it will be involved in some of the major events organized by KIT, such as In Scena! Italian Theater Festival NY. 2014-12-08 i-Italy "From Boccaccio to Shakespeare: the Connections of Literature & Theater"